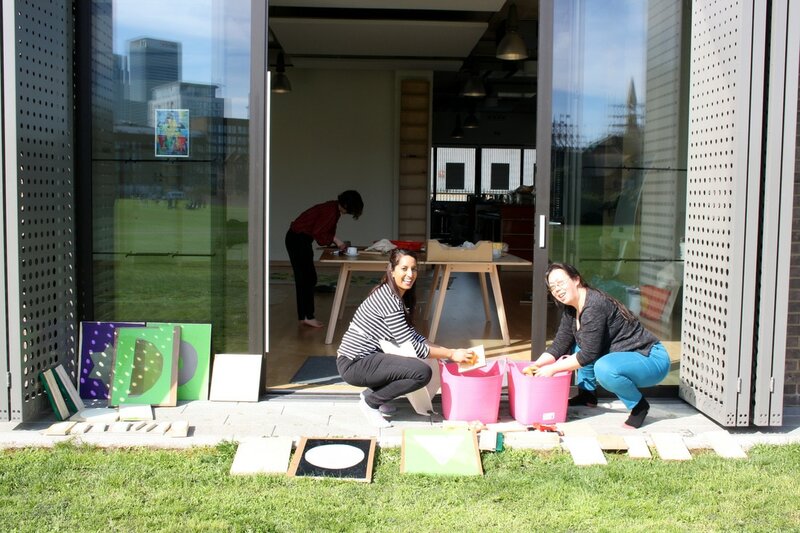 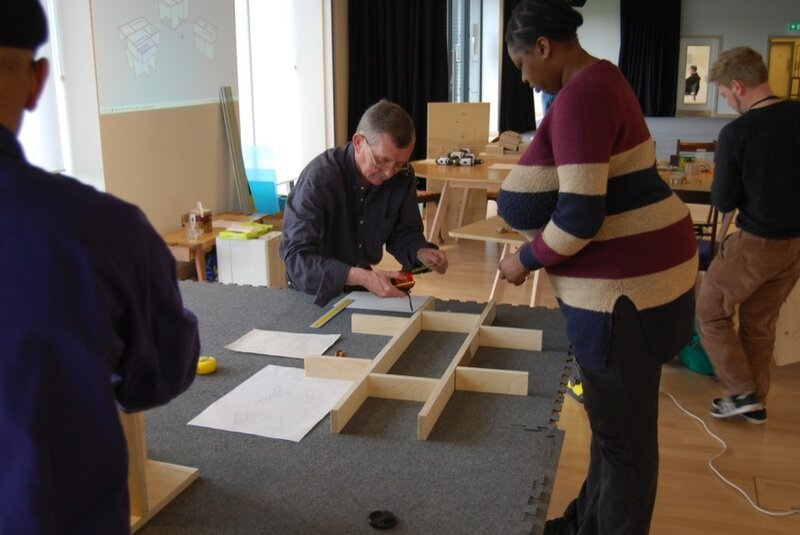 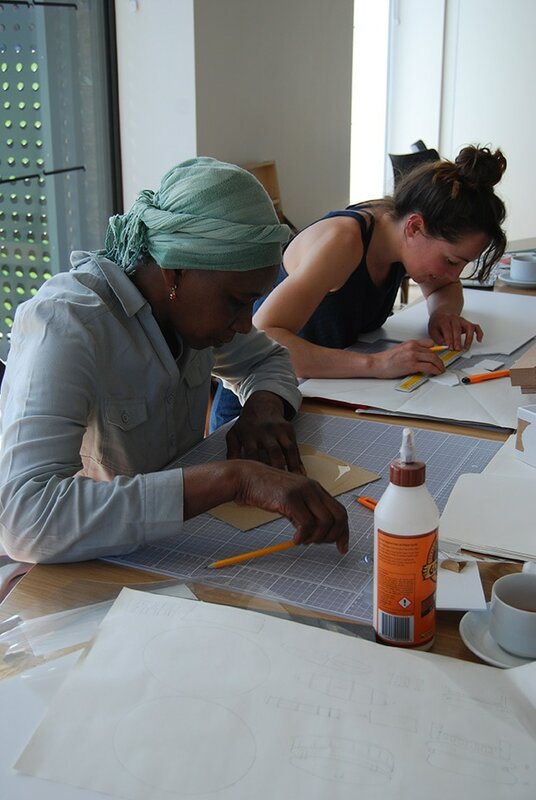 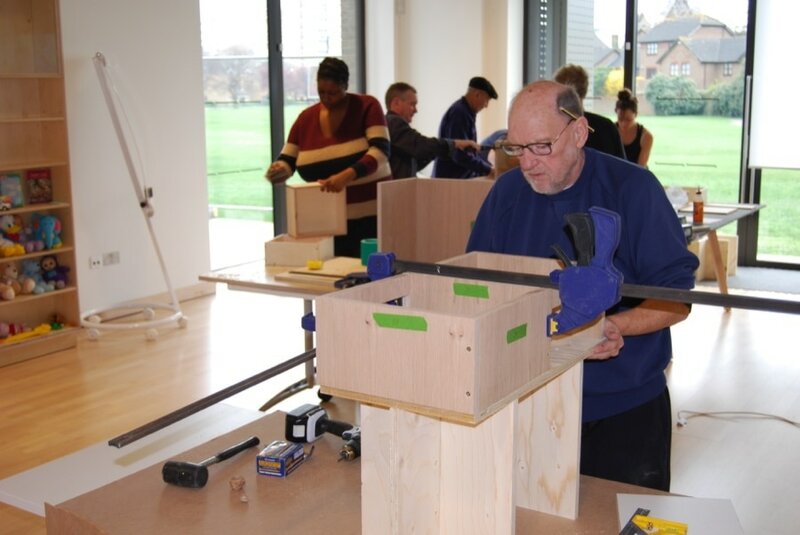 We were invited by Poplar Union to run workshops for local residents as part of our wider project to design and make furniture for this community and arts space in East London. 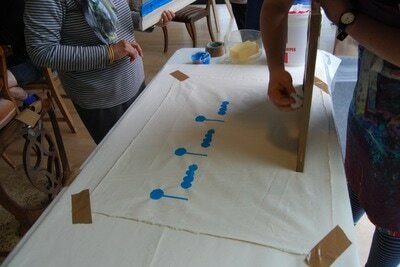 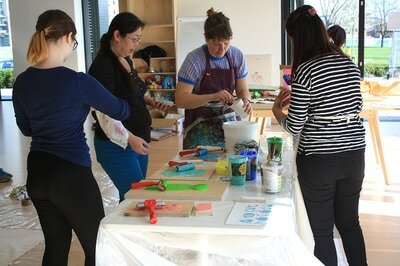 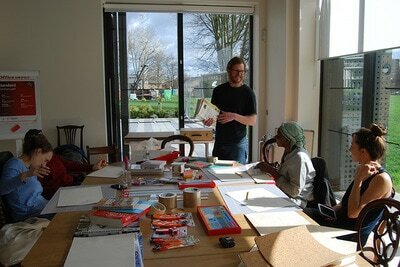 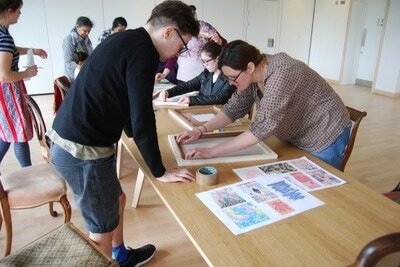 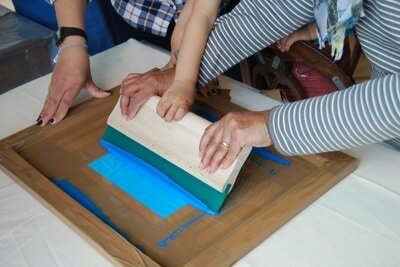 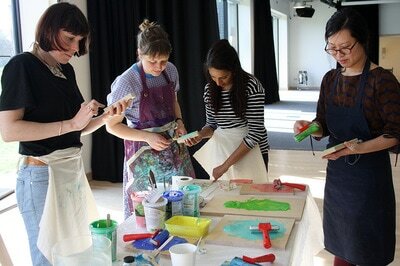 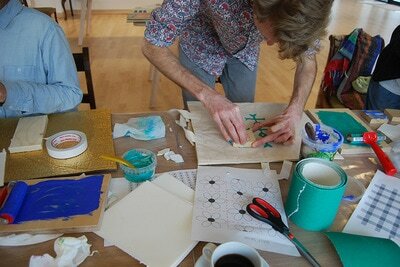 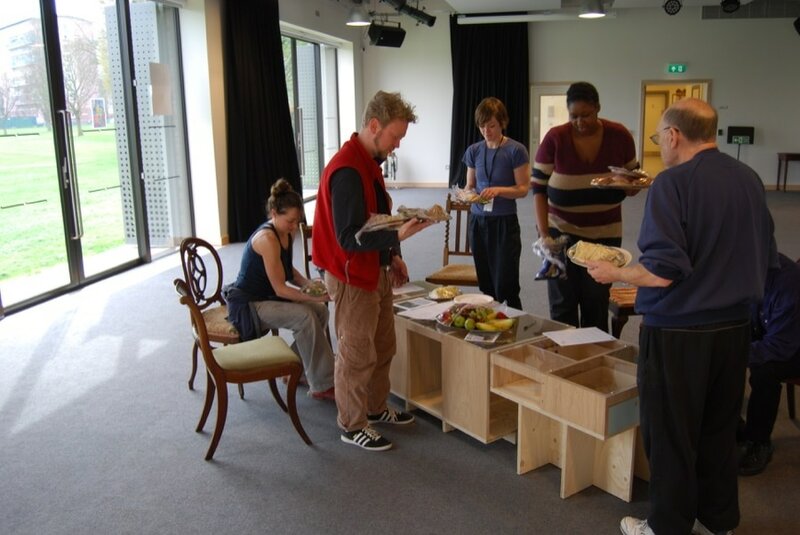 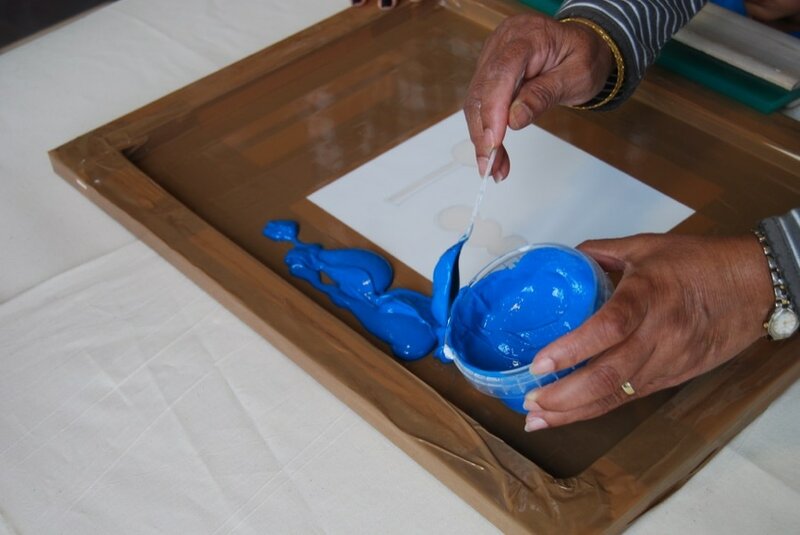 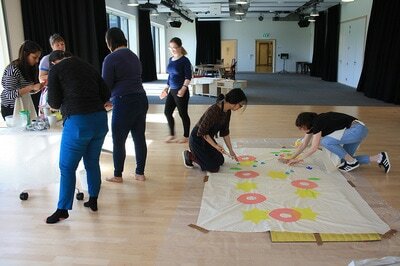 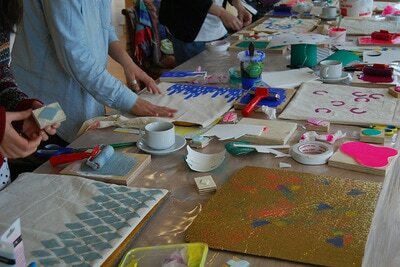 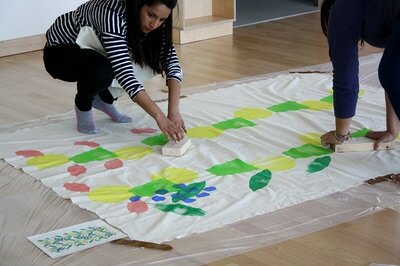 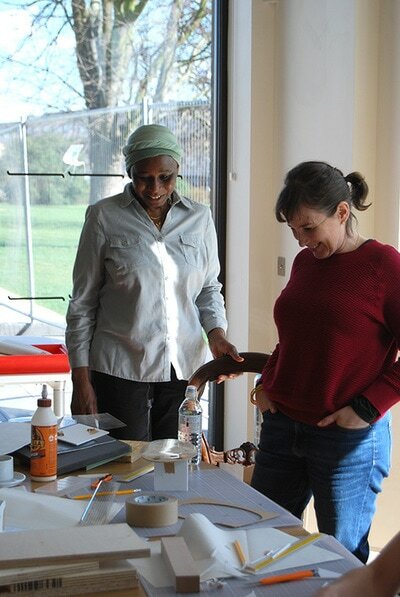 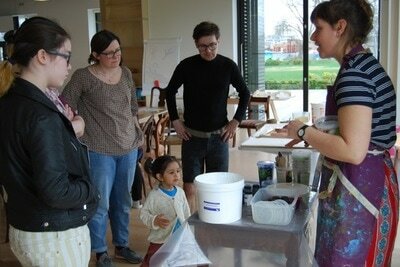 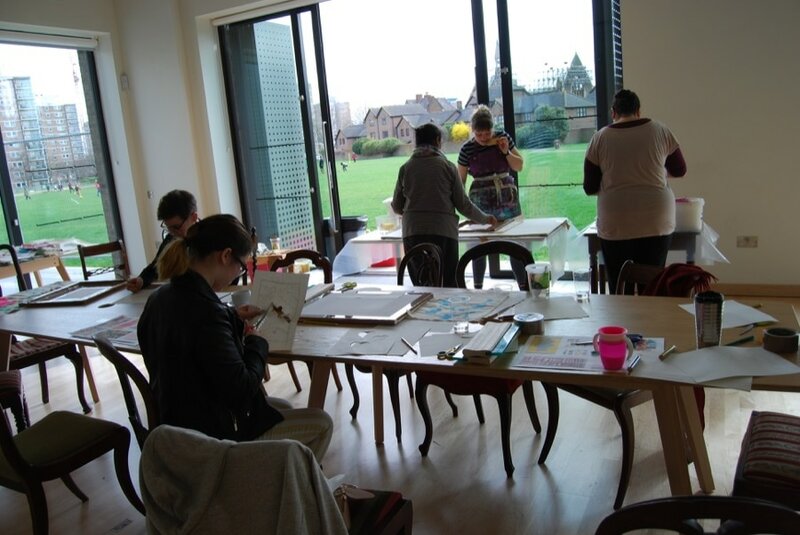 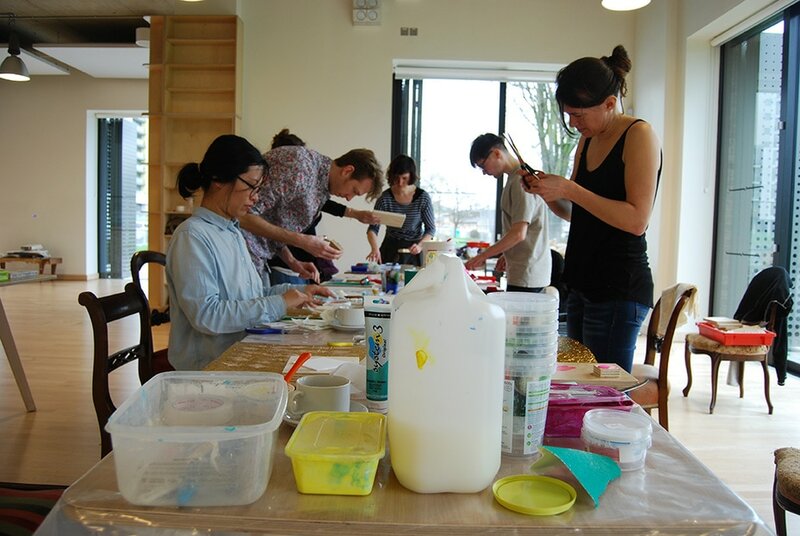 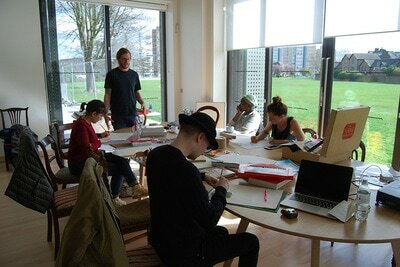 We devised two separate workshops - Printing Fun and Design and Make a Coffee Table. 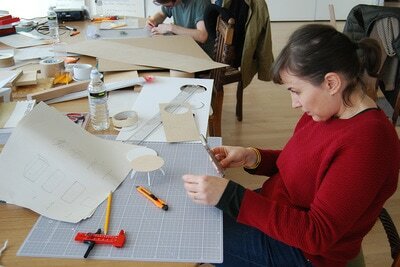 Each workshop was designed so that participants could attend one or all of them. In the first printing workshop we made repeating patterns, taking inspiration from Marimekko and other designers and artists. 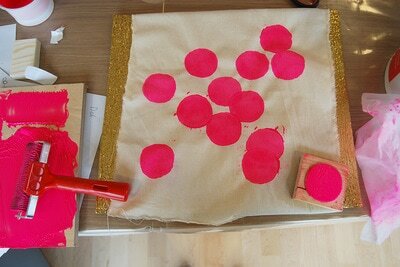 Participants were then able to hand print their designs using a simple block print onto a tote bag. In the second workshop we did some screen printing, using designs inspired by the built and natural environment outside of the building. In the last workshop we collectively screen printed 4 designs using both block and screen printing onto large pieces of fabric, ready to adorn shelving units in the space. These designs were based on the four different seasons - Spring, Summer, Autumn, and Winter. 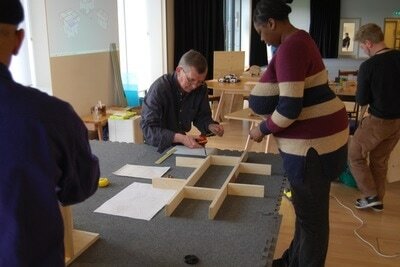 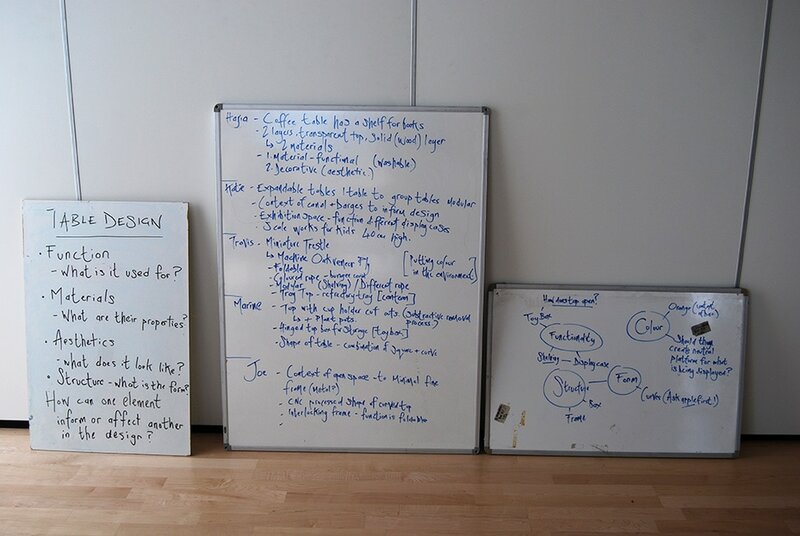 The design and build of the coffee table took place over two workshops. 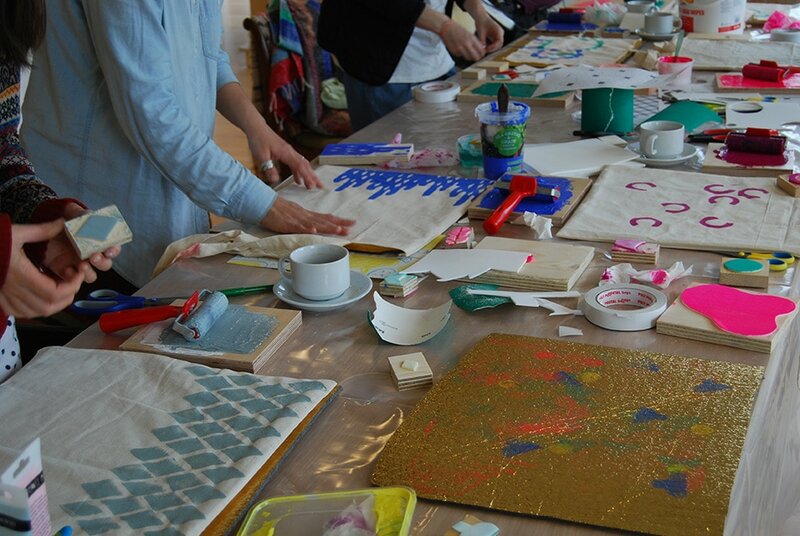 In the first workshop we looked at a range of different designs with varied styles and functions, as well as material choices and finishes. Participants worked to develop their own designs and models based around their own creative inspiration as well as the needs and aesthetics of the space. 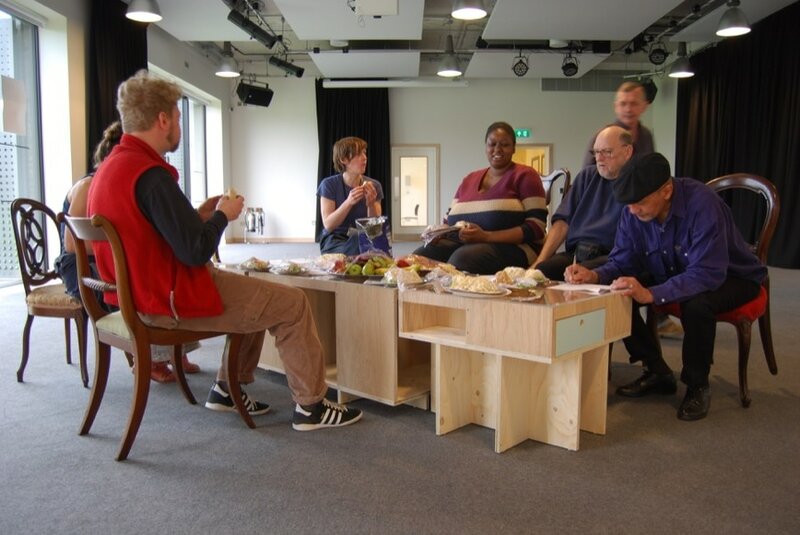 Elements from these designs were then taken forward to create a final design for the table which was built in the last workshop. 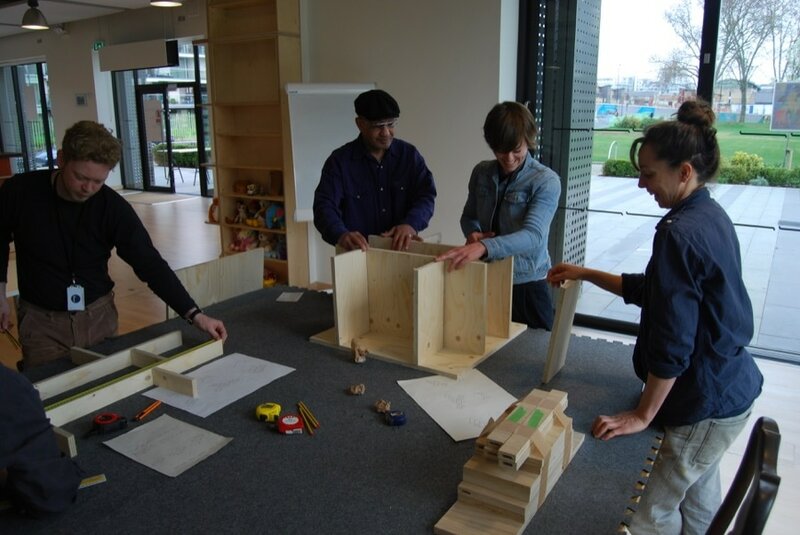 In this workshop participants had the opportunity to learn carpentry techniques as well as develop skills in translating a drawing into a 3D object.